HIGHLANDERS have reportedly offered their legendary son, Madinda "Khathazile" Ndlovu, a three-year contract to replace Dutchman Erol Akbay, whose contract expires at the end of this month. 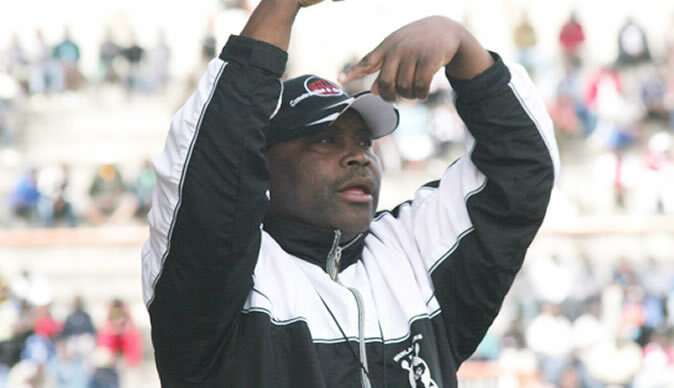 Ndlovu is one of the few former Highlanders' players qualified to coach in Zimbabwe. The others with Caf A coaching licences are Rahman Gumbo, whose contract with Chicken Inn runs out at the end of the month, unattached Amini Soma-Phiri, Bantu Rovers Academy director Methembe Ndlovu, former How Mine coach Kelvin Kaindu and national Under-20 coach, Bekithemba Ndlovu. Bekithemba has been Kaindu's assistant at How Mine and with the latter reportedly on his way back to Zambia, the former is among those tipped for the gold miners' job. It is, however, believed that Madinda is keen on working with Bekithemba as well as national team goalkeepers' trainer Tembo Chuma. He is also said to have asked for a former player to take over from Vezigama Dlodlo as team manager and former captain Dazidelio Kapenya is being touted for the post. Kapenya and Bekithemba formed a formidable partnership at the back of the Bosso side that cruised to four consecutive league titles a few years ago. Madinda, a multi-winning championship coach in Botswana, is a firm believer in home-grown talent and youngsters. "The club has tabled a three-year contract for Madinda, but nothing has been finalised as yet but that is the position of Highlanders from what I understand. The club is seized with means and ways of extinguishing the debt it owes Khathazile and I think if both parties agree on that roadmap, you guys will be called to witness the signing ceremony," said a source within the Bulawayo giants. Madinda's manager, Hosea George Bhebhe, confirmed that negotiations between his client and Bosso are currently underway, but said nothing tangible had been finalised "as we still have got some outstanding things which we need to clear up". Highlanders reportedly owe Madinda about $40 000 from his previous contract that was terminated in 2009, just nine months into his contract and after 21 games. Highlanders' chief executive officer Nhlanhla Dube declined to comment on contract talks, but said interviews and considerations were still underway. "Three years is a principle for any coach we will be engaging," said Dube.